MojaČokolada.si created the perfect luxury gift that showcases the diversity of our little country in a tasteful and unique way. Chocolate Slovenia consists of 12 chocolate pieces, each with a different flavour that represents, and was inspired by, a particular Slovenian region. One of Slovenia’s main attractions and advantages is it’s diversity and variety. 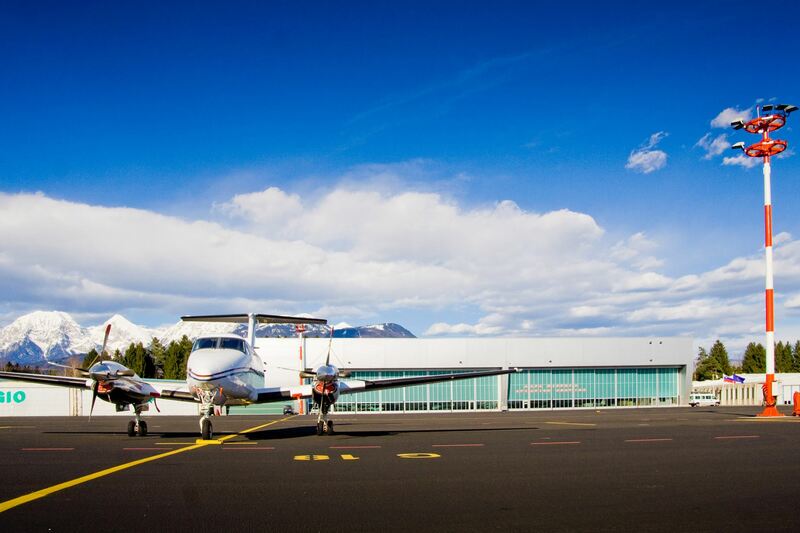 Slovenia lies in a junction of the Alps, The Mediterranean, The Pannonian Basin and the Balkan. On this small piece of land there is something for everyone. There are mountains and lakes, beaches and sea, cities and a lot of stunning views everywhere around. As Rok Trkaj, Slovenian influencer, says: »Slovenia is small in its size, but big in its heart«. 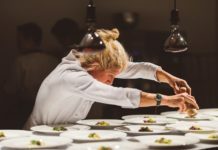 Besides it’s geographical variety, Slovenia can also boast with it’s stunning cuisine that differs from region to region. Each Slovenian region has it’s own distinctive flavors and tipical dishes. To bring you closer the variety of our country and flavors, MojaČokolada.si decided to create a special chocolate for the best experience. 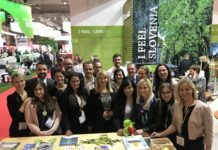 Those who doesn’t know Slovenia yet, can explore this magnificent country through variety of flavors prepared in Chocolate Slovenia. Chocolate Slovenia consists of twelve handmade pieces of chocolate. Each piece represents a Slovenian region, through 3D relief and a flavor that best represents it’s cuisine. Each region is different and unique, which can be felt through the tasting. The product is packed in a luxury black and gold packaging box, which is already ideal for a gift. The box can also be personalized with a company logo or other graphics, for even more specific and unique gift. 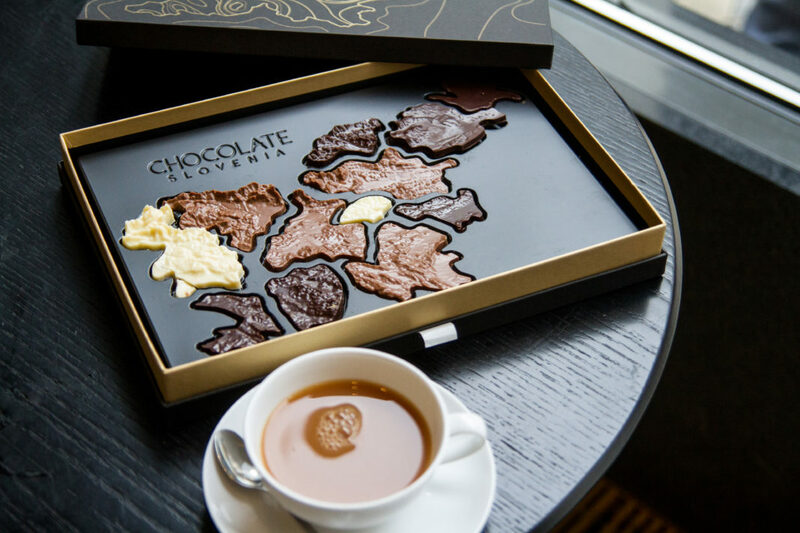 Chocolate Slovenia is therefore an appropriate prestigious gift for business partners and foreign visitors or for anyone, to whom you would want to present this small, but stunning, country in a delicious way. For different conferences and events, MojaČokolada.si also offers small chocolates in craft paper wrap, that can be personalized with company logo. Next articleCome and Explore Slovenia in a Unique Way! 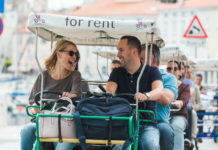 Come and Explore Slovenia in a Unique Way! 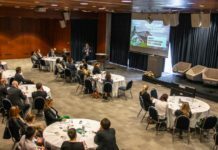 Slovenian Convention Bureau is the central contact point for meeting planners looking for impartial information and advice on all aspects of organizing events in Slovenia.